Finally, Sound Of Vast’s first release in 2016. Good news for many people as it the initial release of “Higher” sold way too fast. There’s been some a huge deman for us to bring it back – so we decided to repress it again, this time with a twist… Soichi Terada Remix! 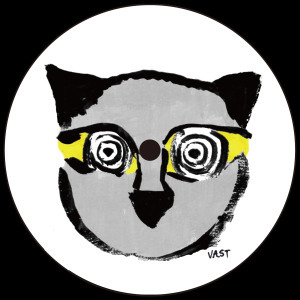 With this re-issued version of EP, we show the identity of the “Unknown Artist”, as someone already guessed he is the The People In Fog aka DJ Sodeyama, who released “Deep EP” in 2014 on Sound Of Vast. By The People In Fog project – he shows his 90s old school house side which he raised with. As this release containing not only the original version of “Higher”, but also includes melodic and dreamy remix made by the Japanese house renaissance “Soichi Terada”, and “Dub Mix” from The People In Fog with a bit modern groove, this EP can be satisfied any kind of mood on the dance floor. The powerful of vocal from an killer 90s tune, and well-crafted beat production from each legendary house artists, this EP definitely has the energy to bring people in the higher lever of dance. The Original Mix is going to be available only on vinyl, one more reason to do not miss this vinyl.